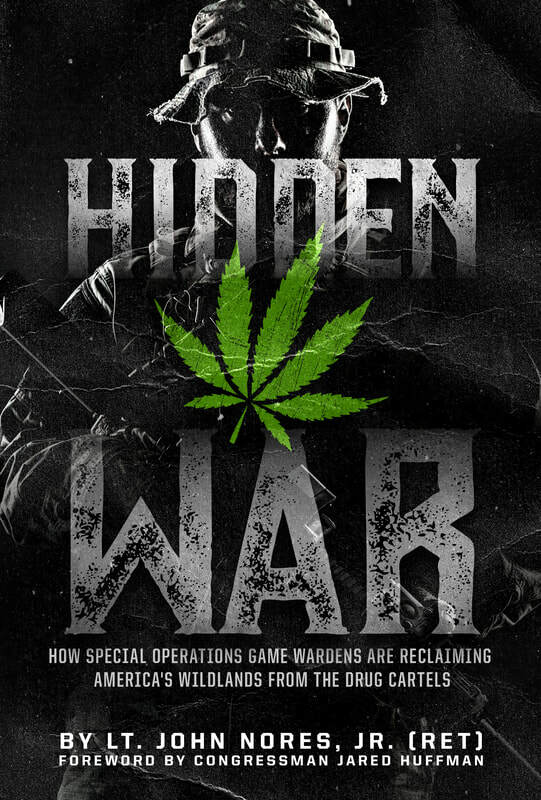 Hidden War is the second book from John and documents the development and effectiveness of the nation's first dedicated wildlife officer special operations units, California Department of Fish and Wildlife Marijuana Enforcement Team (aka the MET team) and the Delta Sniper Unit. Created to protect our nation's public safety and stop the international drug cartels from decimating our nation's wildlife, waterways, and wild lands, these teams go where no one has dared go before. Chronicling their first five years, Hidden War tells the true story of the challenges and successes of the MET and Delta Sniper teams as they fight the nation's most detrimental environmental criminals, the drug cartels. From dangerous missions to understanding advancements made with K9 teams, readers are offered a unique and revealing look inside what it takes to keep America's public lands safe.